Nice article in Outdoor Magazine about the 6 Best Outdoor Clothing Companies You’ve Never Heard of. 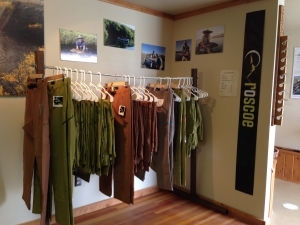 We are very proud to be associated with and offerRoscoe Outdoor Clothing in our Fly Shop at Healing Waters Lodge. Haley DeMarois, co-owner of the company, has worked for Lewis & Clark Expeditions/Healing Waters Lodge for the past five summers as a gear-boater extraordinaire on our Smith River trips. Roscoe Pants are guide and gear-boater favorites as they wear like iron, are comfortable, and look great.